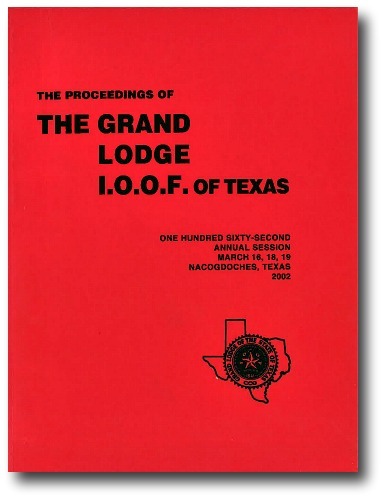 TO THE GRAND LODGE I.O.O.F. 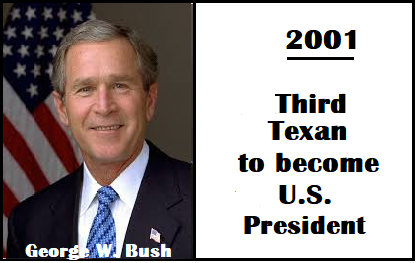 OF TEXAS: It has been an honor to have served this Grand Body this year. would, as Grand Master, thank all the Odd Fellow and Rebekah lodge who were so gracious to me during my visits. To all the Odd Fellow I want to thank you for your support, your ideas, and constructive criticism. The title of Grand Master was bestowed on me at the March 2001 Grand Lodge session. This title carries great responsibility for all who assume this honor. I accepted this responsibility with humility and trepidations. The office of Grand Master can sometimes be a heavy burden. Decisions must be made that some will applaud and others will not. The Grand Master should wear the collar of his office with dignity and pride and always remember to make his decisions for what he perceives to be the law and what is best for the good of the Order, I have listened and learned a lot this year. We have some problems, membership and finances being the most serious. We must strive to increase our membership and put our finances in order and stop spending more than we bring in. In my visits as Grand Warden and Deputy Grand Master I observed a need for educating new members and new officers as we were placing younger members into positions of leadership for which they were not trained. I also noted that some lodges suffered from a lack of direction from their Noble Grand. This year I appointed an Education Committee to put together a program of videos and written material. This committee has worked hard and they should have the first video ready before Grand Lodge. I feel this must be an ongoing committee as the need is great. We must educate our members in the basics of Odd Fellowship and how to recruit new members. It has been my sad duty to close two lodges this year, Alvin and Whitney, and to consolidate Daingerfield into Mt. Pleasant. However, we are in the process of instituting a lodge at Longview and I hope this will be accomplished before Grand Lodge. Irving Lodge No. 872 suffered a terrible tragedy. Fire destroyed a portion of their lodge. The members of the lodge are to be commended for their hard work. I want to thank all the lodges who helped with love offerings. These lodges showed what Friendship, Love, and Truth is really about. Abernathy Lodge No. 809 is to be commended for the work they have done in getting new members and turning Abernathy into a viable lodge. It has been an honor and privilege to serve with Sister Jessie Earthman, President of the Rebekah Assembly. Thank you Jessie for your support, encouragement, and love you have extended to me. Thanks to the Rebekah Assembly Executive Committee for having joint meetings with our Executive Committee. I think we accomplished a lot and I hope this continues to be a joint effort. Thanks to all the lodges who had Degree rallies. They were deeply appreciated. I would encourage more lodges to have Degree rallies. 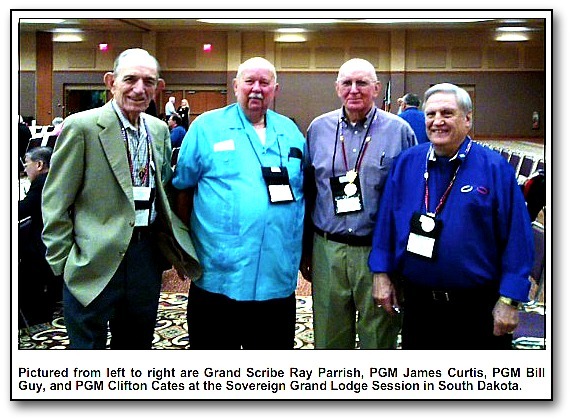 To the Grand Lodge Executive Committee, thank you for your support and hard work. You were a great team. 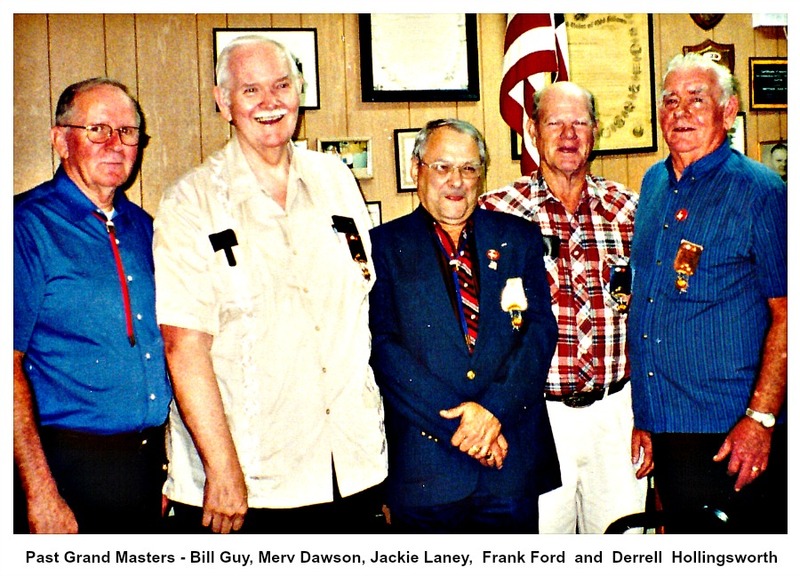 No Grand Master could have had a nicer group. Thank you, thank you so much. To the Grand Lodge staff, Nancy, Darline, and Jim, I wish every Odd Fellow had the pleasure of working with and knowing you. Without your help it would have been very difficult to accomplish all the things I did this year. Nancy, thank you for your patience and support in all the correspondence and reports that you did for me and most of all, your warm smile and words of encouragement. Darline, thank you for keeping my accounts straight and all other tasks I asked of you. Jim, thank you for all the input on finances and your hard work on the Code Revision Committee. 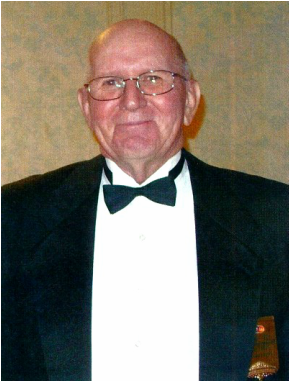 To the Grand Secretary, Jack Tatum, thank you for your support and willingness to help at all times. Thank you for your help as Degree Captain for the rallies this year. It is deeply appreciated. To the Board of Trustees of our Homes and Grand Lodge, thanks so much for all the hard work, long hours, and dedication to your work. You serve our Order in many ways but don't receive the laurels you should. Thanks for your patience, your willingness to listen, and your support. To all the brothers and sisters of this Order, thanks for the memories of Friendship, Love, and Truth. To Ken Rappe and Geri Callender, thanks for your hard work and long hours spent in our Homes. Both of you are to be commended for the job you have done. To my home lodge, Dallas No. 44, and associate lodge, Mt. Pleasant No. 66, thanks for your support and all your help. You have made the trip easier. To Harmony Rebekah Lodge No. 266 of which I am a member, thanks ever so much. You are a wonderful group of ladies. The Home for the Aged should look at becoming licensed for assisted living. Education and membership should continue to be a priority. The Grand Lodge needs to look at our property at Corsicana and decide what should be done with this property. Get our finances in order and have an actual budget. To my wife, Patricia, thank you for your love and support, for the long hours spent alone, and your unselfishness, for without your encouragement, help and advise, this would have been a harder road to travel. Remember, Odd Fellowship is something to crow about!